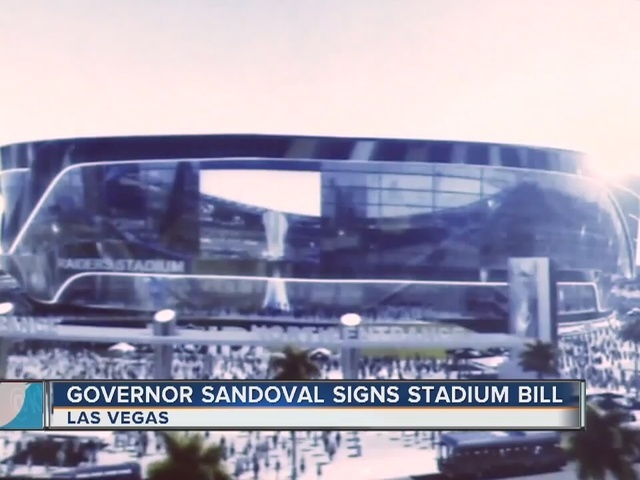 Once Sandoval signs the stadium bill, NFL team owners will meet to discuss moving the Raiders to Las Vegas. 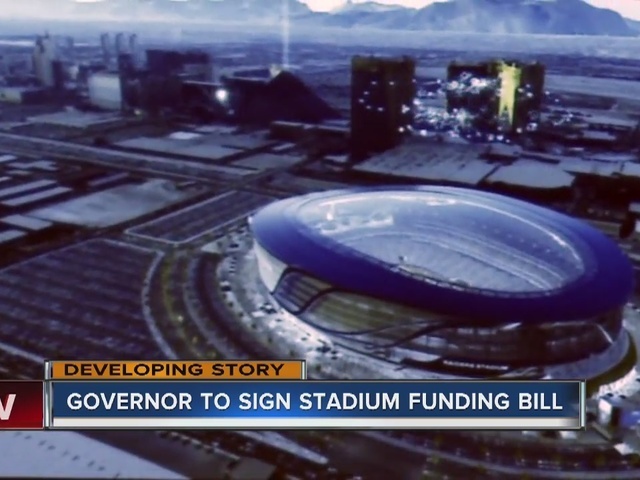 UPDATE: Governor Sandoval signed bills on Monday to fund the building of an NFL stadium in Las Vegas. NFL team owners are scheduled to meet on Tuesday. 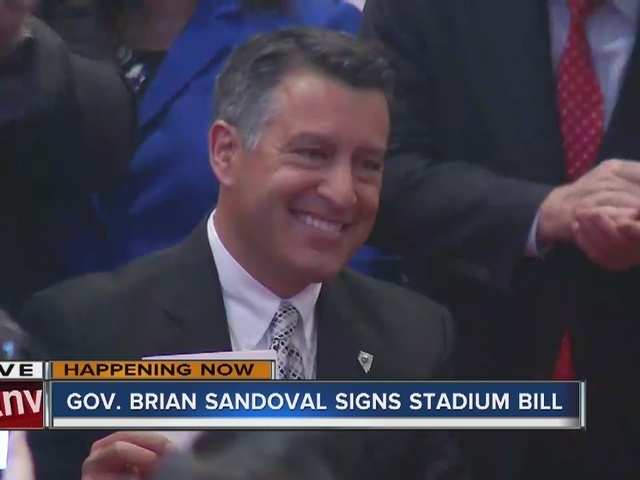 CARSON CITY (KTNV) -- Governor Brian Sandoval will sign Senate Bill 1 and Assembly Bill 1 at 11 a.m. on Monday, thereby approving the construction of an NFL stadium in Las Vegas. The bills were created through a special session held by Nevada Legislators from Oct. 10-14. To pay for the stadium, lawmakers split the cost between the Adelson family, the Raiders, and an increased hotel room tax. The increase will start in January and will add an extra $1.38 for every $100 spent on a hotel room in Clark County. 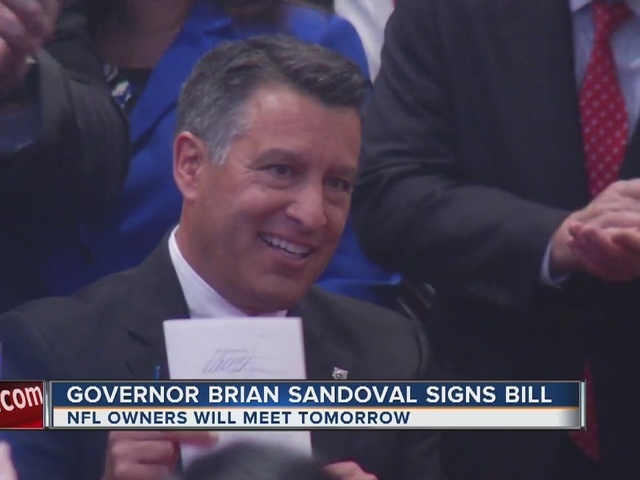 Once the stadium bill is signed by Governor Sandoval, NFL owners will meet to discuss moving the Raiders to Las Vegas. The signing will take place at the Richard TAM Alumni Center at the UNLV. Members of the Nevada Legislature and local elected officials will be present for the signing, along with business and gaming industry leaders, representatives from the Raiders, and UNLV students and administration.